Lace up your hiking shoes, hop on your bike and head outdoors: the Salzkammergut is a paradise for nature lovers and active holidaymakers in the summer. Mountains, lakes and forests invite you to enjoy great activities under the bright blue sky. Begin your day with an excellent breakfast in the hotel garden. The views of the surrounding mountains are sure to make you want more. From the Gersberg Alm hotel, it is just a short drive to the Salzkammergut region where clear lakes, incredible mountains and plenty of nature are just waiting for you to explore them. Hiking: A variety of hiking trails from leisurely hikes to challenging climbing tours wind through the Salzkammergut. Your reward will be a delicious alpine snack at a rustic chalet. 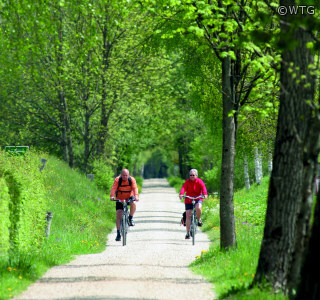 Biking: Easily though the fields or full of energy up the mountains – everyone will find the perfect cycling or mountain biking trail in the Salzkammergut! 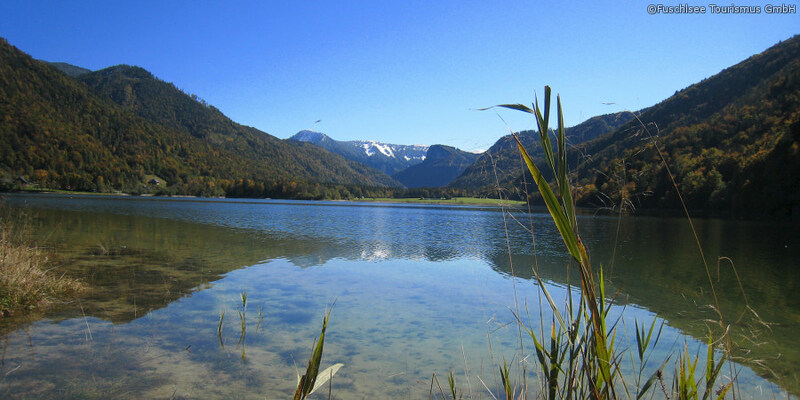 Swimming: There are 76 lakes in the Salzkammergut, which invite you to have fun in the water. Enjoy the sun on the lakeshore and cool off in the crystal clear waters. Water sports: The Salzkammergut's lakes have more to offer than just swimming: how about diving, sailing or a romantic boat trip? When you stay at the "Romantik Hotel" Gersberg Alm, you don't have to go far to enjoy summer in the Salzkammergut. You can play tennis in privacy at the hotel's own tennis court and on hot summer days our mountain water pool offers cool refreshment. Spend some worthwhile time doing absolutely nothing while relaxing on our lounge chairs. Kids will love the playground on the sprawling hotel lawn – it’s perfect for playing and romping around. Does this sound like a holiday that is right up your alley? Send us your enquiry – we look forward to your visit!